The Department of Chemisty at Elmhurst College We have small classes, caring faculty and fun, hard working students. 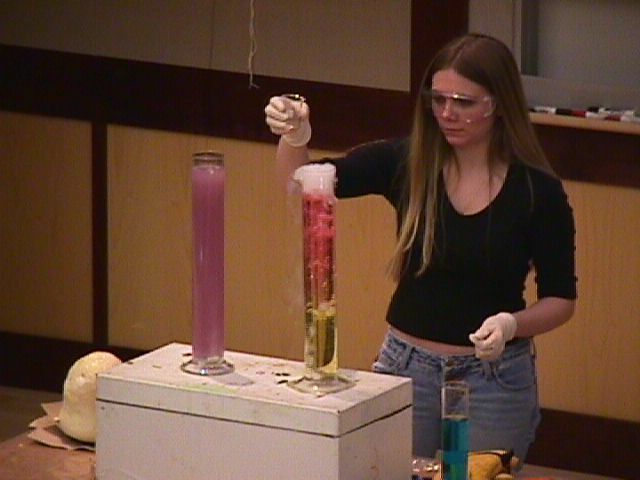 In our program students learn practical skills as well as foundational facts and theories in chemistry. Laboratory skills, particularly the use of instrumentation, effective use of computers, and real-world problem solving and experimental design are emphasized in our major classes. Information literacy, oral and written communication and skills are emphasized in our seminar program, required of all majors. See the menu tabs at the top to learn more about our program, our faculty and staff, and our students. Join us Wednesday, May 9th for capstone presentations by our research students. Presentations begin at 3:30pm in SC 236. Refreshments will be served.